Next Sunday the 24th of June I will sell my work at the international ceramic market in Maaseik. From 09h until 17h you can take a look at the beautiful work of more than 100 participants from different countries. 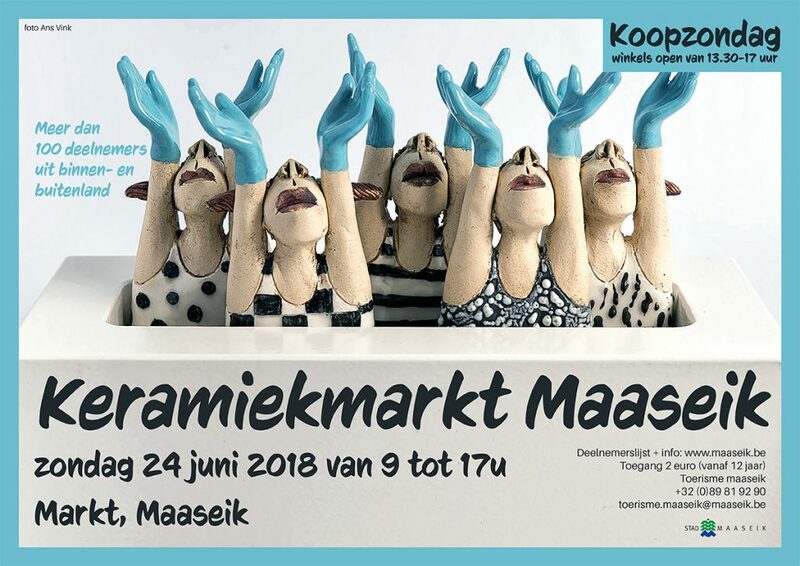 I’m looking forward to meet you at the cozy market place of Maaseik!